Introducing the Discovery Mindblown Bots! Each bot comes with unique skills that makes playtime even more fun and educational! There’s the Twirl Bot, Balance Bot, Magnet Bot and more! Did you know you can even test your mindblown skills with the Happy Studio app? Download the Happy Studio app to play games with the Discovery Mindblown Bots! 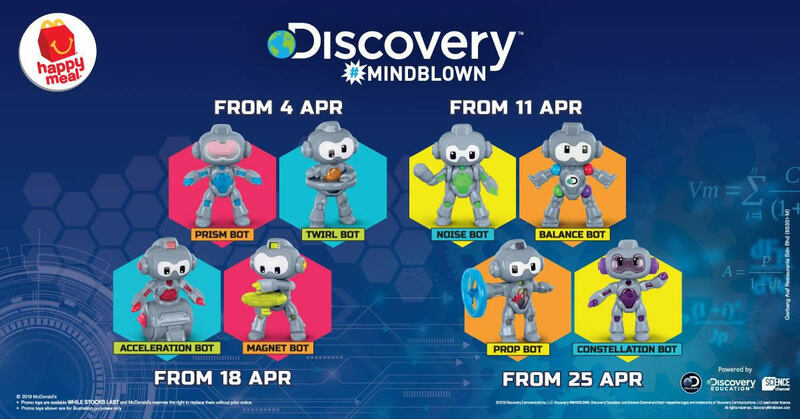 Collect all 8 bots for FREE with every purchase of a Happy Meal at McDonald’s now!